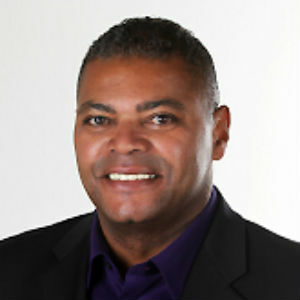 Tony Carter — Infrastructure Group, Inc.
Dr. Tony Carter is a Professor of Management at the School of Business of the University of New Haven, located in West Haven, Connecticut. Dr. Carter has been widely recognized as an expert by government, academic, and business leaders globally in his specialty areas of management, sales, and business strategy. He has been the subject of prestigious interviews by Business Week, United Nations television, and numerous TV and radio programs. He has developed many partnerships with local businesses, entrepreneurs, the Chamber of Commerce, Corporate Executives, and the United Nations. Tony is the author of seven professional experiential based books: Contemporary Sales Force Management, The Aftermath of Re-engineering: Downsizing and Corporate Performance, Customer Advisory Boards: A Strategic Tool for Customer Relationship Building, Sales Force Management: A Contemporary Approach, Many Thin Companies: The Change In Customer Dealings and Manager’s Since September 11, 2001, The Encyclopedia of Strategic Marketing Management and Globalization and The Economic Geography of Globalization. Tony has had his practical business results published in many influential professional journals such as the Columbia Journal of World Business, the Journal of Professional Services Marketing, Journal of Marketing Management in Customer Service, Services Marketing Quarterly, Journal of Strategic Marketing, Selling Power Magazine, Asia Journal of Entrepreneurship, American Journal of Economics and Business Administration and Journal of Personal Selling and Sales Management , International Management Review, and China Business Journal of Management Policy and Practice. In addition to his widely recognized accomplishments, Dr. Carter has worked as a manager for several corporations and has been a Professor at Columbia University, Linyi University in China and guest lecturer at The Economics, Finance, Accounting, IT & Management Research Conference, Hawaii, Caucasus School of Business in Tbilisi, Georgia, University of Bologna and University of Vilnius in Lithuania. His case studies and research on management, sales and sales management have been adopted and used by various Universities and organizations around the world. Dr. Carter has conducted research in the European Union, the People’s Republic of China and Eastern Europe. He has also collaborated with Dr. Joseph Stiglitz, the 2001 Nobel Prize winner in economics. As an active consultant, he works on management, sales and sales management issues for a variety of companies worldwide, including Fortune 500 corporations such as American Express, SONY Corporation, Dun & Bradstreet, Digital Equipment, Guardian Life Insurance Company and Lubrizol Corporation. Dr. Carter was the recipient of the “2004 Stillman Award for the Best Business Book of New Jersey Business Faculty" and also received the “2006 Stillman Award for the Best Business Case Study”.